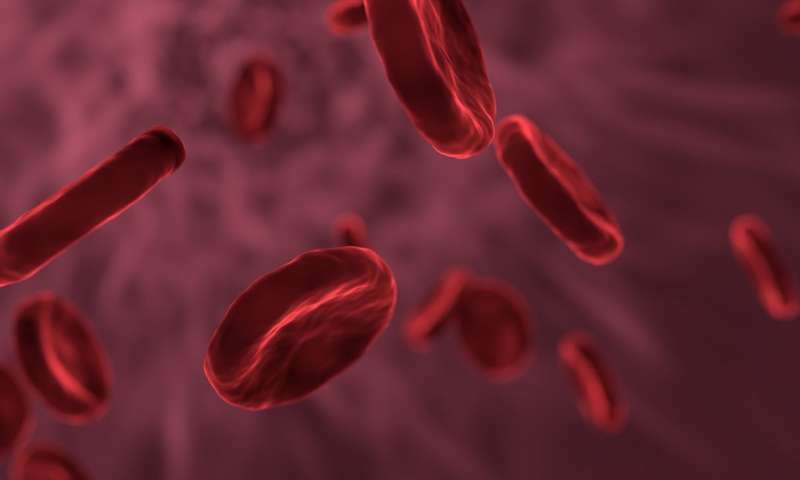 Now, researchers from Sanford Burnham Prebys Medical Discovery Institute (SBP) and UC Santa Barbara, in collaboration with scientists at UC San Diego, have discovered that host responses during sepsis progression can vary in important ways based on pathogen type. Understanding these responses may hold the key to developing more effective treatments. The study published today in Cell Host and Microbe. Sepsis remains a major cause of human disability and death throughout the world. One-third of hospital deaths are due to sepsis, according to the Centers for Disease Control and Prevention (CDC), while on average, 25 percent of sepsis patients die. Often, sepsis survivors still battle serious conditions such as chronic pain, organ dysfunction or amputations. Physicians currently diagnose sepsis based on a checklist of signs and symptoms. Pathogen identification occurs days later, if at all, following patient fluid cultures. Because of the need to act quickly, treatment for sepsis begins with broad-spectrum antibiotics and may proceed to anti-inflammatory drugs, and in some cases, vasopressors. No new, effective drugs that treat sepsis have been developed in decades. "Sepsis is generally thought of as one singular disease, especially when viewing it clinically as it enters late stages. At this point, inflammation and coagulopathy have caused vascular and organ damage common to severe sepsis and septic shock," says Jamey Marth, Ph.D., senior author of the paper, professor at SBP's NCI-designated Cancer Center and professor and director of UC Santa Barbara's Center for Nanomedicine. "Our comparative approach to experimentally monitor the onset and progression of sepsis at the molecular level supports the view that there are different molecular pathways in the pathogenesis of sepsis depending on host responses to different microbes." In contrast to other experimental models of sepsis, which release incompletely identified and quantified pathogens into the bloodstream, Marth and his team developed a more precise method that tracked pathogens over time. This method generated a reproducible protocol to follow sepsis onset and progression. The scientists then mapped host responses to five different human pathogens representing common strains and isolates from different patients. In the study, the scientists found that in the onset and progression of sepsis caused by Salmonella or E. coli a protective mechanism normally present in the host was disrupted. These bacterial pathogens accelerated the molecular aging and clearance of two anti-inflammatory alkaline phosphatase (AP) enzymes, called TNAP and IAP, which are normally present in the host bloodstream. This was achieved through activation of the host's own Toll-like receptor-4 (TLR-4), and both pathogens were thus able to activate inflammatory compounds and reduce the likelihood of host survival. The scientists found that boosting the level of these protective anti-inflammatory enzymes or using neuraminidase inhibitors to block the downstream effect of TLR-4 activation on Neu1 and Neu3 induction were both highly therapeutic approaches, as inflammatory markers were reduced and host survival increased—indicating a potential direction for drug development. "It has been known that AP isozymes can reduce inflammation in the context of some diseases and pathogens—indeed, AP is currently in clinical trials focused on inflammatory diseases, including colitis and sepsis," says Won Ho Yang, Ph.D., lead author and a senior scientist in the Marth laboratory. "This study shows that the pathogen is interacting with the host to disable the protective role of AP activity by a previously unknown regulatory pathway. The findings demonstrate how both pathogen and host battle each other by altering the rate of protein aging and clearance—which itself is a newly discovered mechanism we recently reported that controls the half-lives and abundance of proteins in the blood." In contrast, these host responses weren't seen in infections caused by other bacterial pathogens tested, including methicillin-resistant Staphylococcus aureus (MRSA) and Streptococcus pneumoniae. The different host responses in this case appeared divided between Gram-positive and Gram-negative bacteria, which describes the existence or absence of an inflammatory compound found on Gram-negative strains. "We are continuing to map and compare host responses to pathogens in sepsis, using state-of-the-art technical approaches, and hope to ultimately stratify the disease. It's possible that sepsis is similar to cancer, in that we now know that cancer is a not a single disease but represents hundreds of diseases at the molecular level," says Marth. "In the meantime, our findings indicate that AP augmentation could be a valuable first-line therapeutic defense against various Gram-negative infections, which have been escalating among cases of sepsis in the human population."